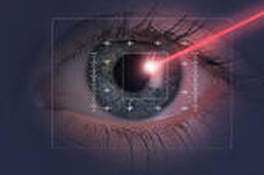 The use of Wavefront-guided LASIK has resulted in much-improved distance vision. The occurrence of adverse effects is also much lower than wearing the contact lens in the longer term. According to American Society of Cataract and Refractive Surgery, LASIK is assuredly much safer compared to the long-term wearing of the contact lens. It offers three times the advantage when it comes to 20/16 vision and ocular discomfort. There is no difference in the long term when it comes to dry eye symptoms, glares, halos or starbursts. When comparing LASIK vs contact lenses, LASIK is clearly safer and less expensive in the long run. The study was conducted among 1,232 contact lens wearers who wore the lens for a long time. The number of patients examined one month post Wavefront-guided LASIK was 3,502 and the number of patients who were examined after five years were 1,351. The average patient age came to 29 years in the contact lens category, and in the one-month LASIK groups. In the five-year LASIK group, the average age has been 30 years. The preoperative myopia range was between 0.25D and 6D. For astigmatism, it was 1.5D. Moderate halos along with starbursts were seen in about 1.6 percent of patients in contact lens group. In the one-month LASIK group, it came to 4.6 percent and in the five-year LASIK group, it was 2.4 percent. A moderate glare was seen in 2.9 percent of patients in contact lens group. Patients in the one-month and five-year LASIK groups suffered moderate glare to the tune of 4.6 percent and 3 percent respectively. In the case of dry eye symptoms, a moderate form was reported in about 5.5 percent of total contact lens wearers and about 8.7 percent of patients in the one-month LASIK group. An overwhelming 92.1 percent of patients reported zero or negligible dry eye symptoms. About 52 percent of the contact lens wearers found a few problems with their lenses. About 19 percent of patients told interviewers that they suffered a lens-related infection. About 8.3 percent reported that they suffered from multiple infections due to the the contact lens. About 27.8 percent reported that they suffered no discomfort due to contact lens. About 79.5 percent of the five-year LASIK patients reported zero soreness or pain within one week from the time the surgery was conducted. This accounts for an almost three times advantage for LASIK patients. An overwhelming 97.9 percent of the LASIK patients duly reported an improvement in their quality of life as a result of the procedure. Many contact lens wearers suffer from infection, discomfort, visual distortion and inability to wear their contact lenses. Comparing LASIK vs contact lenses shows that LASIK has an overwhelming advantage. With the newer bladeless LASIK, this advantage is increased with more precision and increased safety.